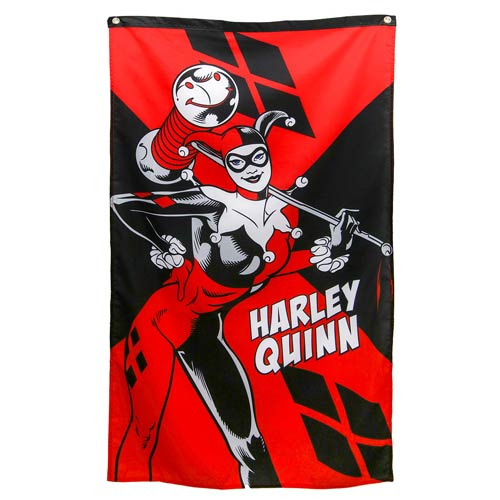 Shopping for Harley Quinn Flags? Show your love of the Joker's main squeeze and display this Harley Quinn banner in your home or office. Made of fabric, the Batman DC Comics Harley Quinn Banner measures approximately 50-inches tall by 30-inches wide and is ready for display.